Offering a wide range of top class services to meet all your needs and requirements. Call us today to discuss all your needs in detail with us. We have worked hard to build up an excellent reputation and are well known for quality, reliability, professionalism and friendly personal service. General carpentry including; doors, skirting & handrail/spindles. We pride ourselves on the high quality service and customer satisfactions gained from every job completed and are happy to provide free no-obligation quotes. As a local and small company based in Aylesbury and covering a 30 mile radius, we have created a fantastic reputation from the feedback from our customers and most of our clients are either recommended and repeat customers. Our service is designed to suit every budget and covers all aspects from the design stage through to completion. 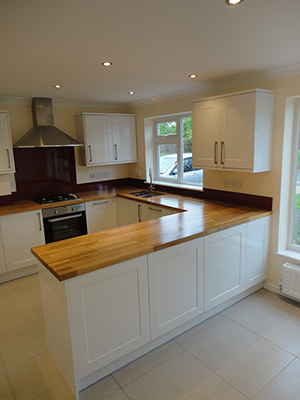 For further information, please call Acorn Kitchens & Bathrooms Ltd today. It Works Out Cheaper To Sell Your House Through Us!